Founded in 1996, ASACP is a non-profit organization dedicated to online child protection. 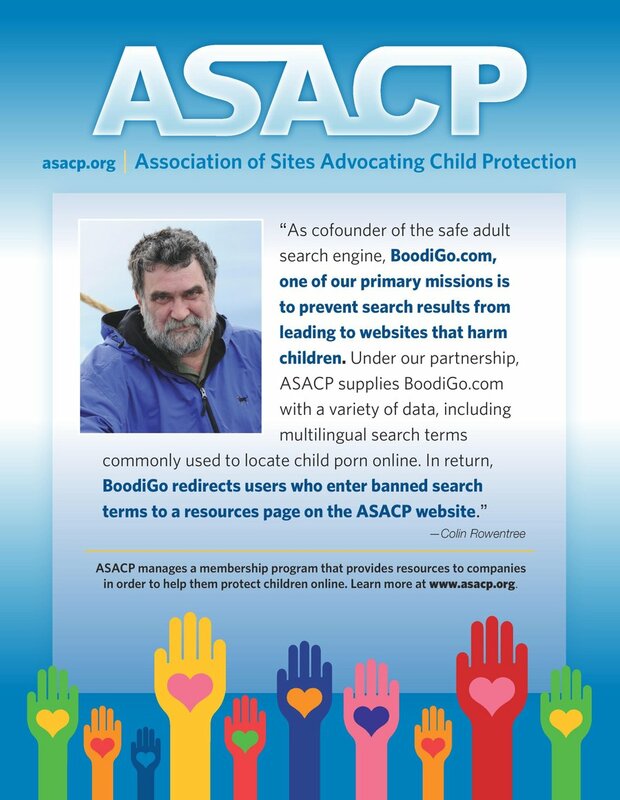 ASACP battles child exploitation through its CE Reporting Tipline and helps parents prevent children from viewing age-restricted material online with the Restricted To Adults - RTA Website Label. Shutting down CE sites (and catching their operators) can only happen if suspected sites are reported and investigated. Government bodies around the world are inundated with reports and the resources to review them all simply do not exist. ASACP offers a secure, anonymous reporting system for the general public to report questionable content who may feel uncomfortable contacting government agencies. ASACP fosters communication and cooperation with the online adult industry. This means we have the outreach and access to involve adult sites and their customers in our fight. ASACP has the knowledge and technical ability to review submitted reports and forward suspect sites to the authorities who consider our Red Flag Reports to be high priority. ASACP provides an online tipline for web surfers and webmasters to report suspected child exploitation. Investigates reports and determine the ownership of suspected CE sites and forwards Red Flag reports to international government agencies and associations including the FBI and the National Center for Missing & Exploited Children, as well as International Tiplines. Notifies ISPs and payment processors when their hosting and billing services are hijacked by CE operators. Creates a Code of Ethics for our Membership program - a model of effective self-regulation for the online adult industry. Establishes Best Practices which are recommended for adult sites, search engines, billing and hosting companies, dating sites, adult sites and others. Created the RTA ("Restricted to Adults") label to better enable parental filtering, and to demonstrate the online adult industry's commitment to helping parents prevent children from viewing age-inappropriate content. Informs members on current, new and pending laws and regulations pertaining to child protection. Join ASACP and become a Member or Sponsor! Label your website with the Restricted To Adults RTA Website Label.